I posted my Gucci Wishlist a few weeks ago and since then, I’ve been going through other high end fashion brands to get inspired from their collections. Recently, I’ve been obsessed with everything at Burberry. Their coats, their dresses, bags and perfumes make me want them all. So, I thought I’d share my Burberry Wishlist with you all. If you’ve been reading my blog for the past few weeks, you’ll know how obsessed I’ve been with coats. This Winter (I’m in Australia) I recently got a coat from Booohoo which I’ve been loving – read about that here! 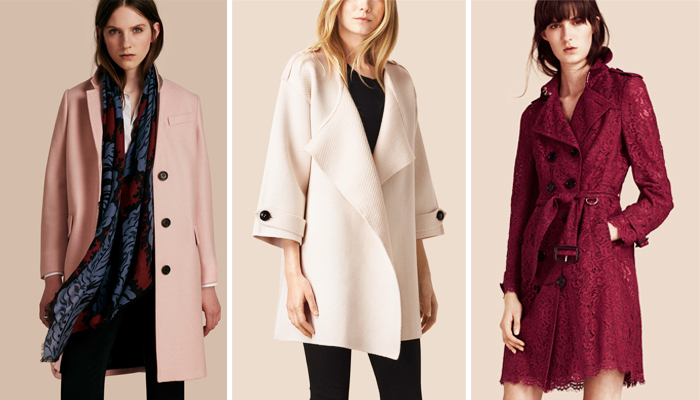 And because of my obsession, I just couldn’t do a Burberry wishlist without including their gorgeous coats. If you’ve been following me for a while, you’ll also know my obsession with dusty pink things. And when I saw the first pink coat, I just had to put it in. I love the colour of the coat and how stylish it looks. The second off white coat is so simple but very pretty and elegant. This could definitely be dressed up or down. I also love the last red trench coat. It’s different to what I’ve seen before. I’m not sure how warm it would be but it’s super pretty with the lace. I’ve been really into simple dresses with lace. When I saw the White Cotton Lace Shift Dress, I was immediately sold. It’s just so simple and elegant. I also love the second and third dresses. 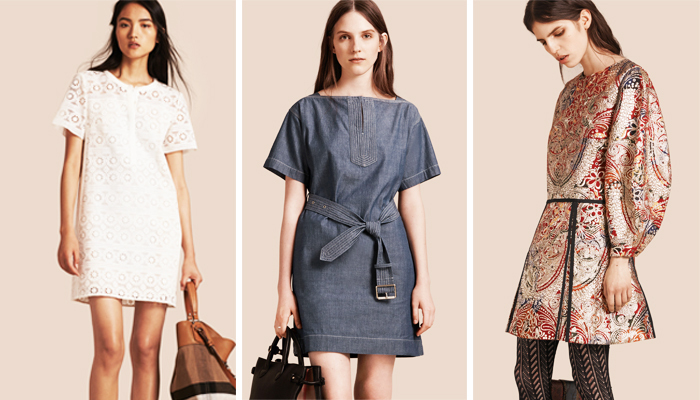 The second Short Sleeved Chambray Cotton Dress is something I’ve been on the hunt for. I love the denim style. And lastly, I just couldn’t do a Burberry wishlist without one of their signature style dresses on there. The Metallic Floral Jacquard Sculptured Dress looks very Japanesy and elegant – I love it. The metallic print would be perfect to wear to a party. 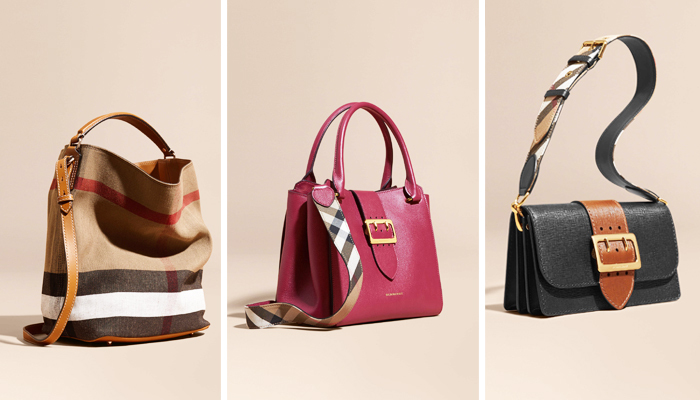 Burberry has some amazing bags and it was SO hard to pick one out of the many they had. But, I decided to go with these three because they’re so classy and simple and not over the top. The first one from The Ashby collection is probably my favourite because I love the colours and the style – very simple but sophisticated. The second bag, Medium Buckle Tote in Grainy Leather in Dark Plum is just so gorgeous! I love the colour and the style of this. Very classy and cute. The last bag, The Medium Buckle Bag in Textured Leather I just had to include because a small almost cross-body like bag is a must. The black bag with the tan strip over it looks very elegant and sophisticated and this would definitely go with almost all outfits – how versatile! Have you been loving what’s at Burberry?